- ハウス内環境制御- Environmental control system in the green house. - トマトジュース- Tomato juices: "Omoiro" and "Sogairo"
COPYRIGHT 2017 © LYCOPER ALL RIGHTS RESERVED. on the north side of Mt. 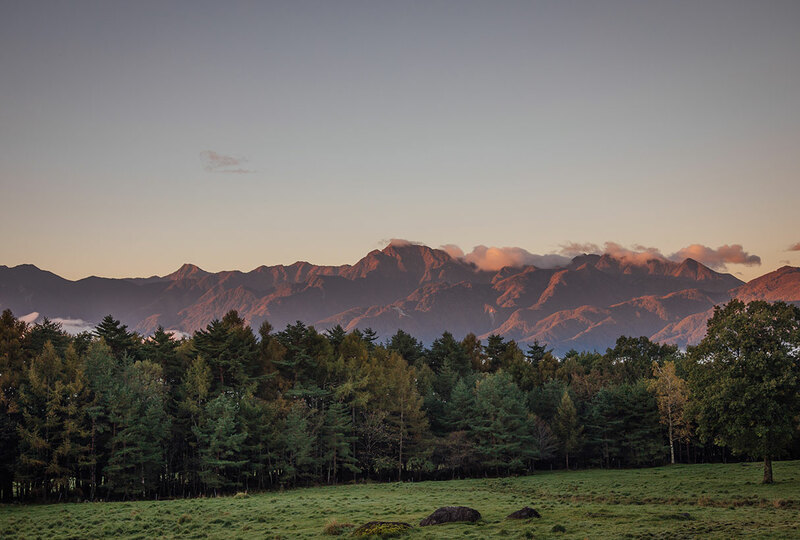 Yatsugatake, and on the west side of the Japanese Southern Alps. Our farm is situated at an altitude of 700 meters and is surrounded by beautiful scenery. cultivating high quality tomatoes. 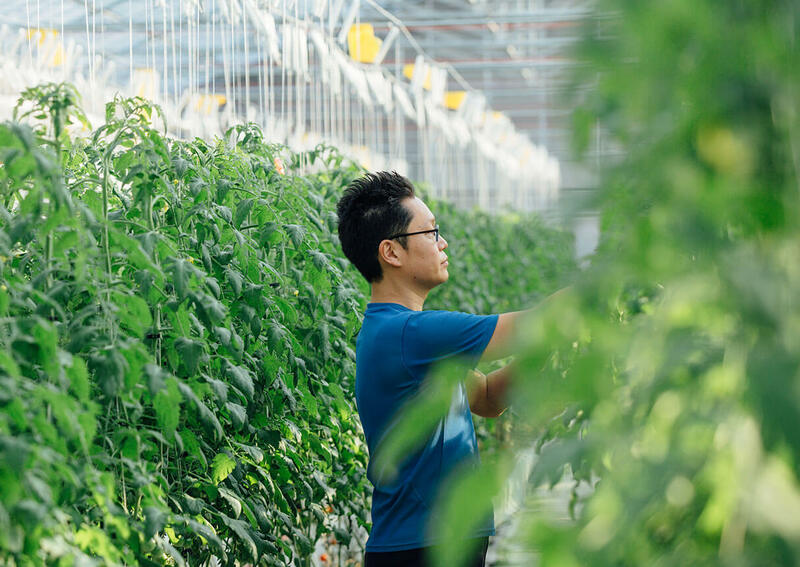 Our tomatoes are nurtured under ideal conditions. microorganisms that give the tomatoes it tastiness and sweetness. Recently, tomato cultivation techniques have been making spectacular improvements. by using a special soil. gives the tomatoes tastiness and richness. our product “Omoiro tomato” to our customers. and tastiness are contained as well as being balanced. Our “Omoiro tomato” is a premium tomato. special soil in a planter. in order to provide water and nutrients. the soil of the planter and subject the roots to dry stress. the fruit because of stress. the composition of the compost. This results in a better taste, quality and so on, without influence from the soil of the ground. We analyze the amount of soil nutrients regularly. a better crumb structure for the root. with a highly efficient Brix measurement device. richness, and tastiness by tasting it. moisture to keep stomata open. green in the leaf, and stem diameter. Then we decide on a cultivation plan. 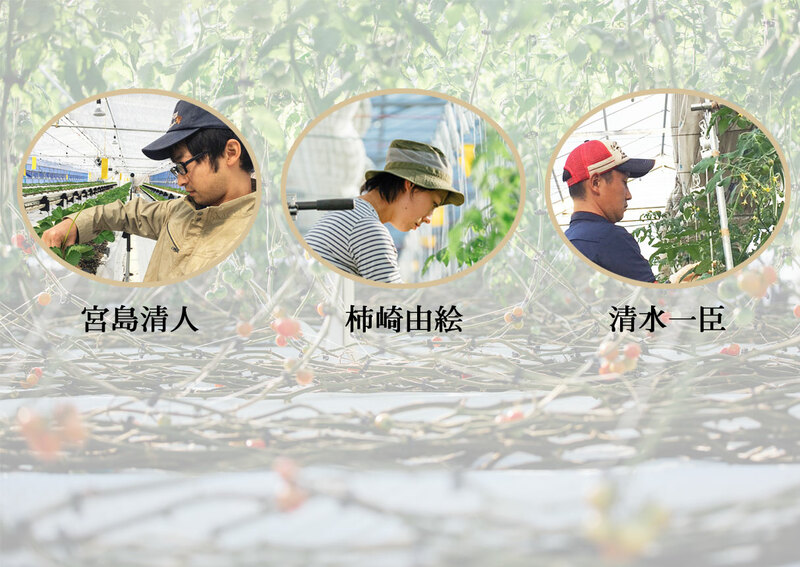 We named our product "Omoiro tomato". similar to the red color in tomatoes. "Omoiro tomato" has sweetness, tastiness, and sourness. generated by the richness coming from amino acid. The juice of the fruit has a delectable sour taste. "Omoiro tomato" increases in the maximum Brix value of about 8.
a balance of sourness, richness, and tastiness. So "Omoiro tomato" is a premium tomato. M.S. in agriculture from Kyushu University. Previously worked for Nomura Security Company and a member of various business start-ups in the world. 3. Go straight, then go up the slope near the grave after passing a small bride. 5. Turn right at the third crossing. 6. Turn right at the first crossroad. You will see a parking lot.